It’s easy to make the masa for tamales. Just a couple of ingredients. Whip this. Mix that… (snaps fingers) … and done! Mexican food at its best. 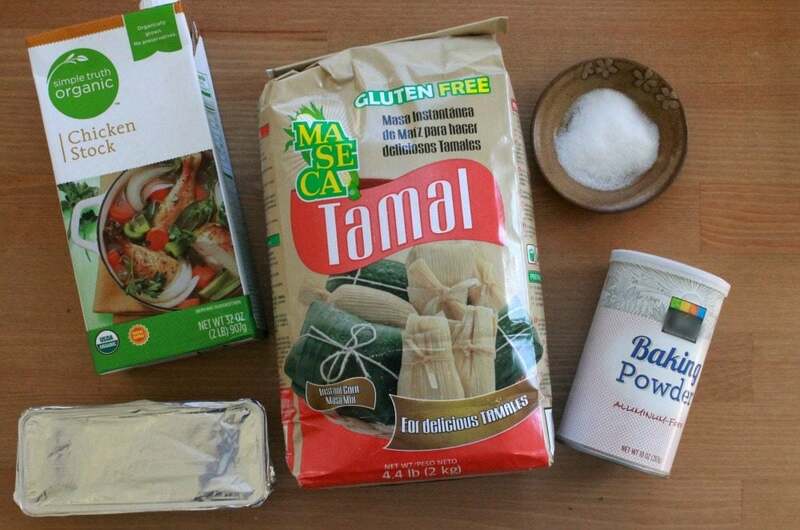 Nowadays, most stores will carry all the ingredients you need to make yummy tamales. Or, if you are lucky enough to live by a Mexican grocery store, they will carry prepared masa. 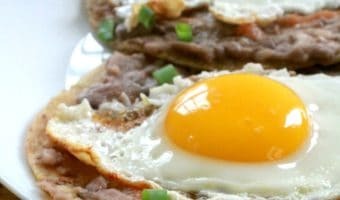 Just know that if you buy prepared masa it will most likely include lard. Another thing you can do is ask your local Mexican restaurant if they will sell you prepared masa. My uncle and his family own a Mexican restaurant in Palm Desert, California called “Los Pepes Mexican Grill.” They do not use lard in their masa. Or, just make it home. You have to understand that when I was a kid, we would drive nearly an hour to buy Mexican food products. Making the masa for tamales is easy. 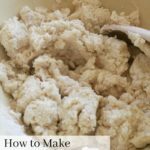 Let me show you how easy it is to make the masa for tamales. First you start by whipping the shortening. Traditionally, we use lard in Mexico. Some of you will say… yuck! I’m over here saying… YUM! I love the stuff. 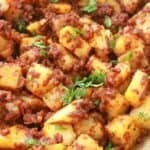 If you’re a lard lover like me, go for it, but we’ll keep it kosher and make this recipe with shortening instead. 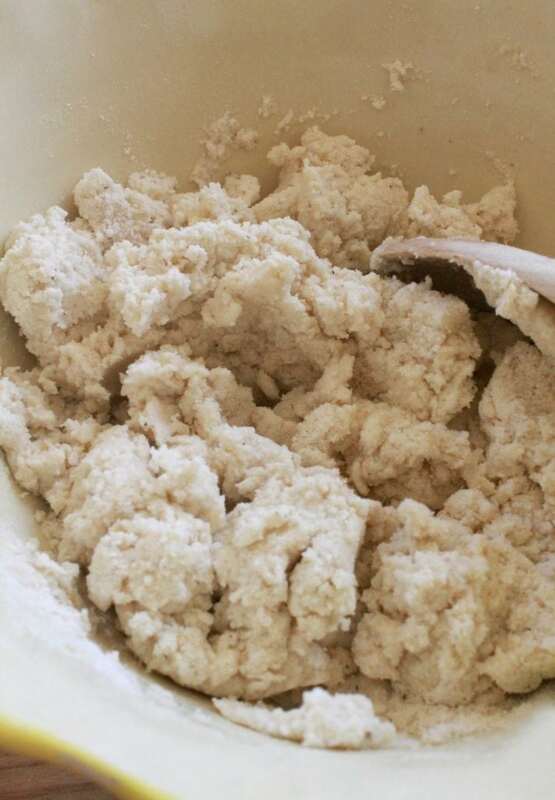 Another thing you can do to substitute shortening and lard is to make a completely vegan and healthier masa using oil. 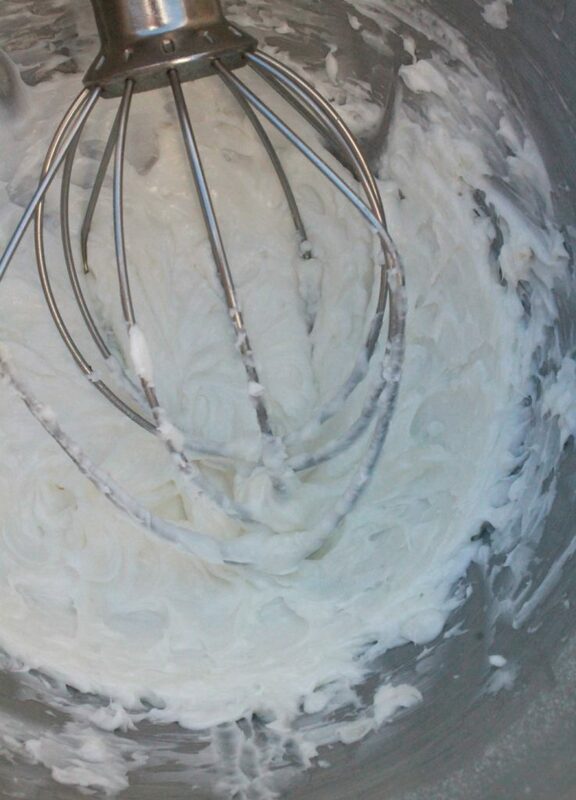 After you whipped it … Whip it real good! … set it aside. Notice how there are no spices mentioned in the recipe. That is because I wanted to give you the most basic recipe. Add chicken broth. You can use water, but I find chicken broth adds flavor. If you are making sweet tamales (or tamales dulces), I recommend using water. If you are making savory tamales, use chicken broth, pork broth, beef broth, or vegetable broth. Some people will add the liquid from the cooked meat to the masa. This will give your masa very good flavor. Then add it to the whipped shortening. You want it be light, creamy, and fluffy. Think cookie dough. Take a dollop of masa and drop it in a cup of water. If it floats, it’s ready!! If it doesn’t float, beat it some more. There’s no such thing as over-mixing here. Mix until it floats. It might just need more shortening. After that, you’re ready to spread, fill, and wrap tamales. See how easy that was?! Making tamales is not hard. It’s just time consuming. My advice for the newbies: Grab a couple of friends and have a tamalada. It will go quicker with friends. 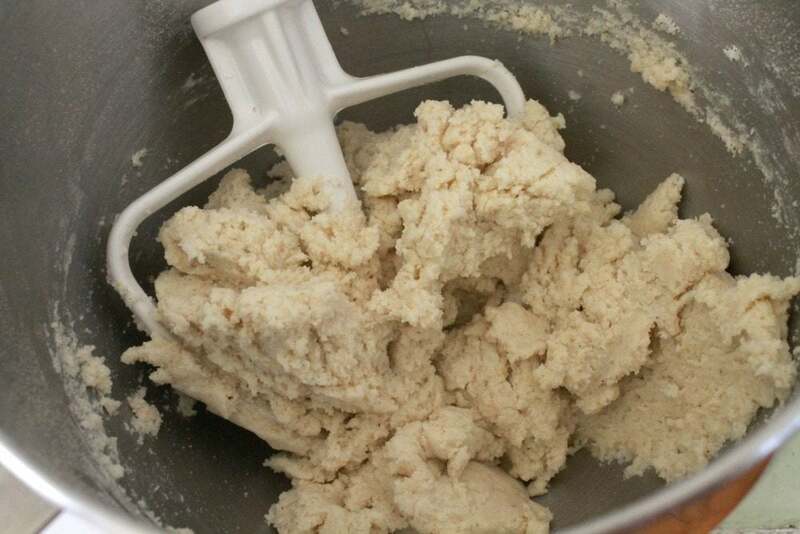 If your masa for tamales is grainy, add more liquid and more fat (shortening or lard, whatever it is you are using). If the masa is too stiff, add more liquid (whatever broth or water you are using). If you run out of broth, use water but adjust the salt by adding more. If you run out of shortening or lard, you can add oil. Be careful what type of oil you add. Olive oil will change the flavor. It’s easy to make the masa for tamales. Just a couple of ingredients. Whip this. Mix that... (snaps fingers) ... and done! 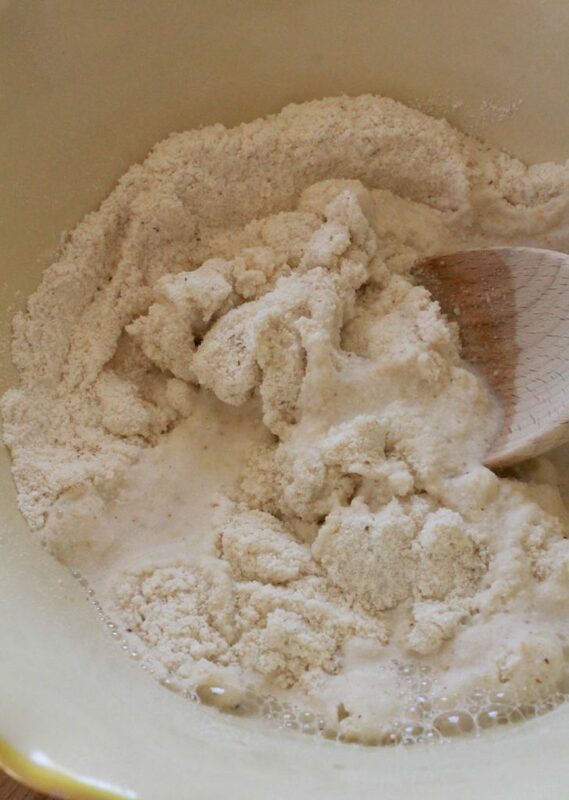 In a large bowl, combine the masa, salt, and baking powder. Knead until you form a smooth dough. Beat the lard with your mixer until smooth. About 2 minutes. Add the masa in small batches, beating until smooth and scraping down each time. Pour stock and beat until the dough is soft. About 2 minutes. Beat one last time with your mixer for 1 minute before using. Have your masa for tamales ready to go. Have your filling ready to go. Soak the corn husks the night before. Make as many tamales as you can and freeze them. Invest in a good steamer. Invite friends to help…. I might have already said that, but I can’t stress this enough. The tamales that you purchase at the store are supposed to be big. Sometimes, the corn husks come small or ripped. It’s ok to make smaller tamales. Tamales last 6 months in the freezer. They do not last that long at my house. Tamales last 5 days in the refrigerator. For leftover masa, you will want to make champurrado. It goes perfectly with tamales. For thawed tamales, place in hot steamer for 20 minutes. 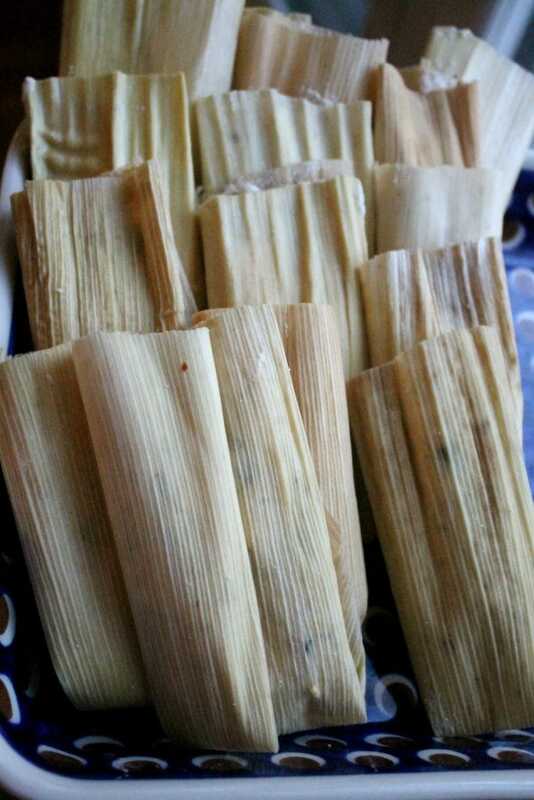 For frozen tamales, place in hot steamer for 25-30 minutes. Check after 25 minutes. You can also place in an oven 325 degrees F. Wrap in foil paper and place on a cookie sheet. Bake for 20 minutes if thawed and 25-30 minutes if frozen. If you are still intimated to make tamales on your own, all of my tamales recipes have videos. I keep telling my husband we need to try and make tamales.. He says you need a army of people to make them? Can they be made with only 2 people.. Any tips.. I have made tamales with just my husband before. Here are some pointers: Make the filling beforehand. Have the masa ready to go. Make less. If it’s just the two of you, you don’t need to make 3 dozen unless you want to freeze some. Hope you two enjoy! I HAVE MADE MAY TAMALES AND USUALLY AT CHRISTMAS TIME. I HAVE EVERYONE ONE (INCLUDING MY GROWN KIDS) SAYING I WILL HELP AND THE TIME COMES AND THEY ARE READY TO PUT TOGETHER EVERYONE IS BUSY! IT TOOK ME 3 DAYS BY MYSELF TO MAKE 3 DIFFERENT KINDS OF TAMALES. I FILLED UP 3 OF THE LARGEST TAMALE POTS 3 TIMES. EXHAUSTING TO SAY THE LEAST. I WILL NOT EVER MAKE THOSE AGAIN WITHOUT HELP BUT IT CAN BE DONE. NOTE YOU CAN FREEZE THESE AND EVERYONE LOVES THEM. I GIVE SO MANY AWAY AND PEOPLE KEEP ASKING ME FOR MORE. GOOD LUCK! It sounds like my family during tamale season, but I make a deal with them. I will make the masa for tamales and all the fillings, they just help wrapping. I’ll take any help I can get! 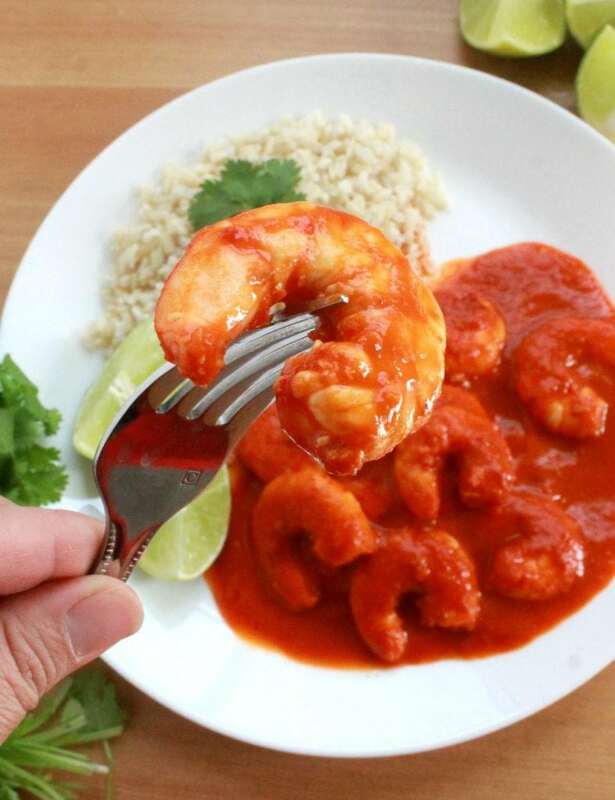 Fabulous recipe and great instructions. I make tamales often but I needed to kick it up a notch. I read though so many recipes but yours stuck out. Glad I stumbled over your post. Thank you, their better than my recipe. I have to say that if you can, use lard! It’s so worth it. You’ll notice the oil n water separate in your steaming vessel. I just tell myself that all the lard steamed out into the water. Wala! No guilt. This looks great, but I’m wondering about the spices. You don’t mention any spice. 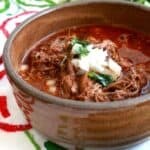 As I remember from watching my Mom and tias growing up, there were definitely spices along with the broth from the pork used for the filling. 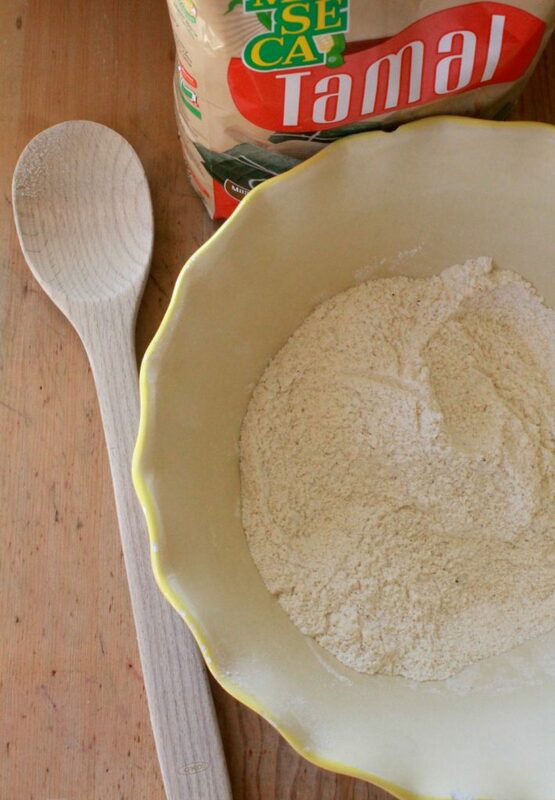 This is your basic Masa recipe. Some people can add spices for savory tamales. Or, add sugar and fruits for sweet tamales. Sounds like your mom and tias were making savory tamales. Each time I have made tamales, the masa sticks to the corn husk. Any idea what I am doing wrong? Definitely go with the lard. Although, I think that’s shortening in the video. lol. I’ve been asked about the spreading many, many times. Check out the video in this post: https://inmamamaggieskitchen.com/red-pork-tamales/ You’ll se the spreading there. Just finish making Chicken Tamales and fist time making masa, would usually buy at Vallarta Market. Thought it was a lot of work to make until now. They came out so tasty. My husband said they were the best tamales that I ever made and I have been making them for yrs. Thank You so much for your easy and tasty masa recipe, will not buying at the store anymore. I’ll be making it myself. Your comment just made my day! It’s not hard to make masa AT ALL. What I love is that you control what to put in it. If you want to add less salt, you can. My brother is a vegan. So, I don’t use lard, I’ll use shortening or olive oil. My friend only eats organic food. 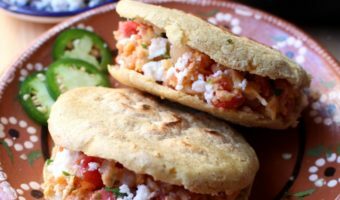 You can make the masa from only organic ingredients. etc. etc. Okay, I give up. How do I watch the video? I have tried 3 browsers and don’t see how to watch the video. 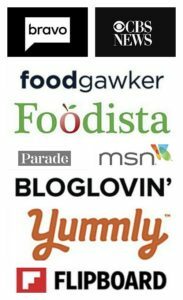 This has happened on another recipe site also. What is the secret? You scared me there for a minute. 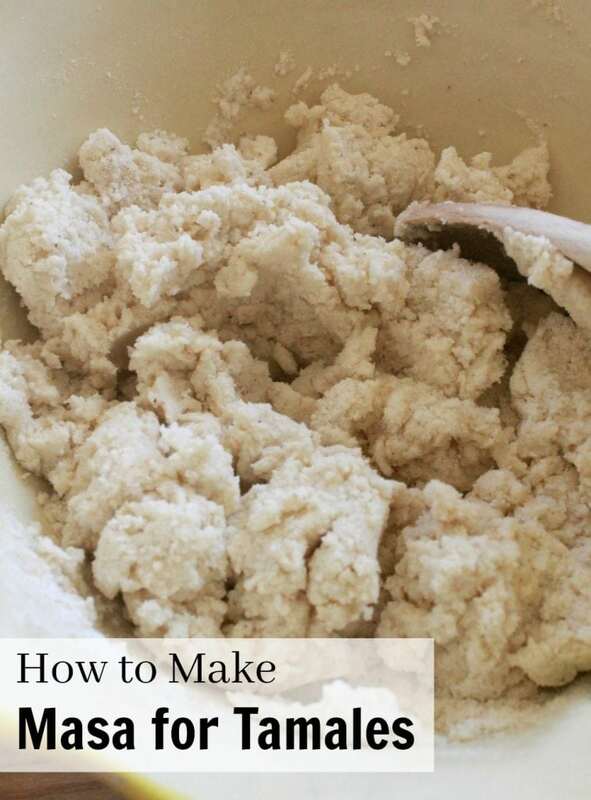 I went to my phone, an incognito window, my regular browser, and they are all showing the video how to make masa. I wonder if there’s something wrong with your browser?? Good news! I have a solution for you. All my videos are also on YouTube.